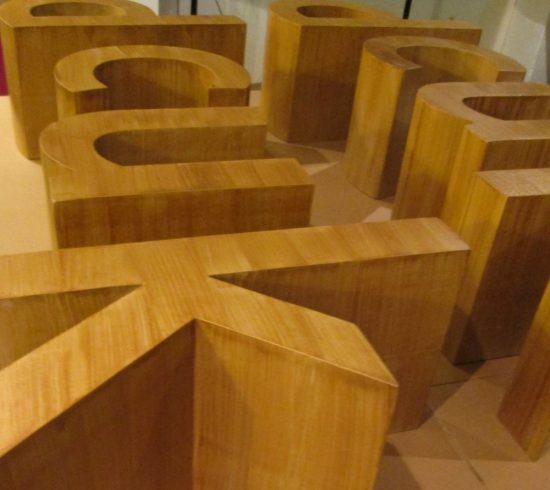 Faux wooden letters for shop displays. Faux medium oak finish. Shop display letters made from painted styrofoam, Example shows letters made from customers artwork, 370mm high, 200mm thick. Letters coated in a medium oak quick drying woodstain.